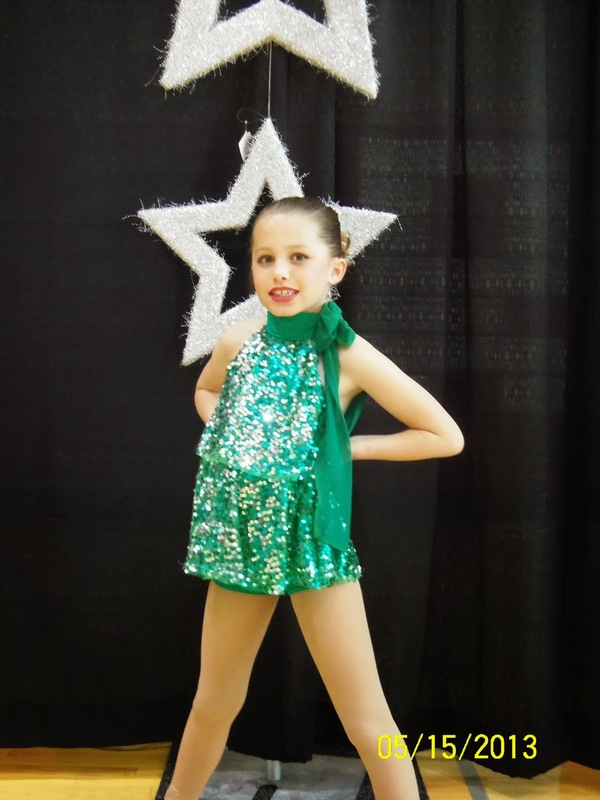 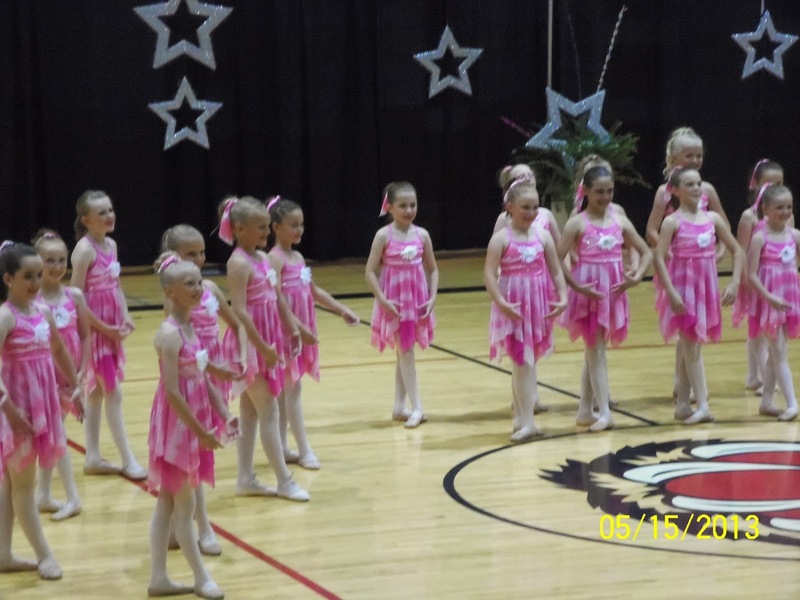 Spring was full swing dance, with extra practices, competitions, and dance review. 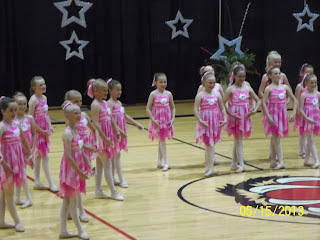 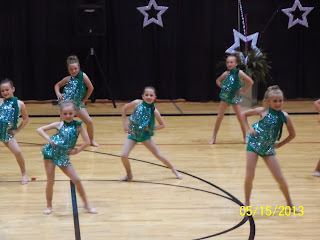 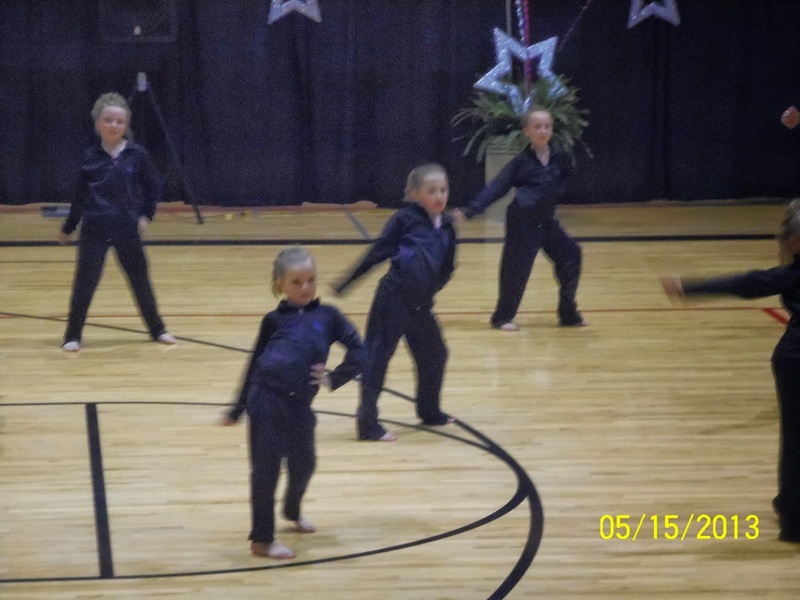 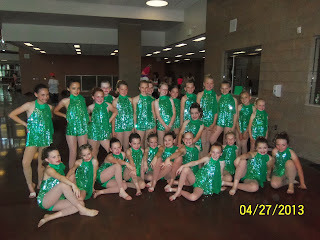 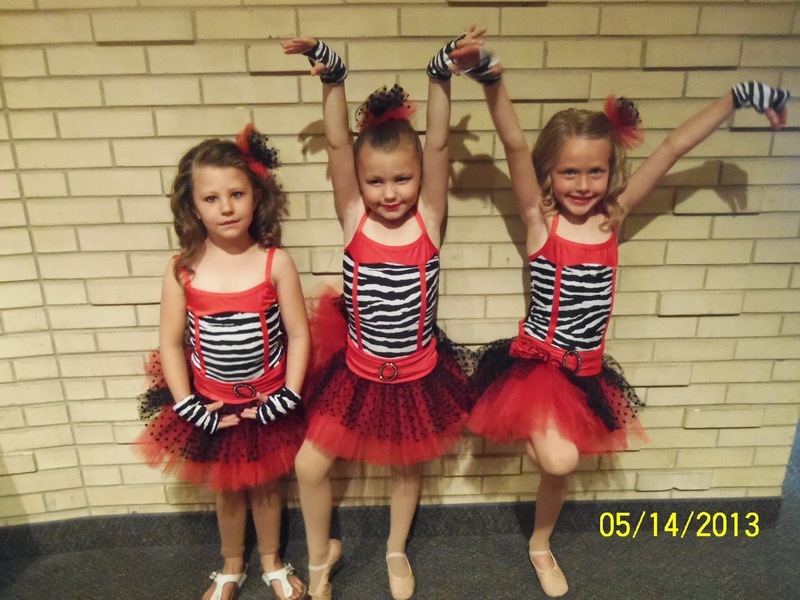 The girls love dance, I love watching them get better and better every year. 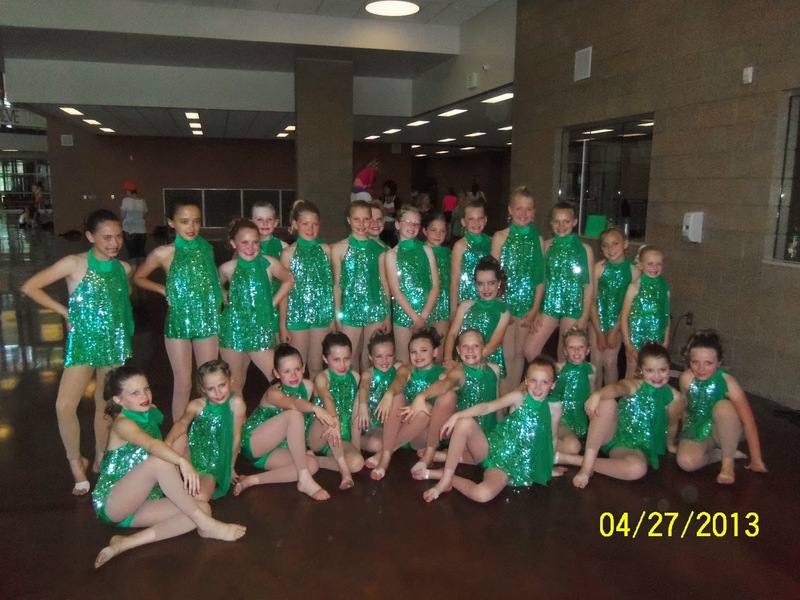 Sydney's dance team before their Jazz dance at Competition. 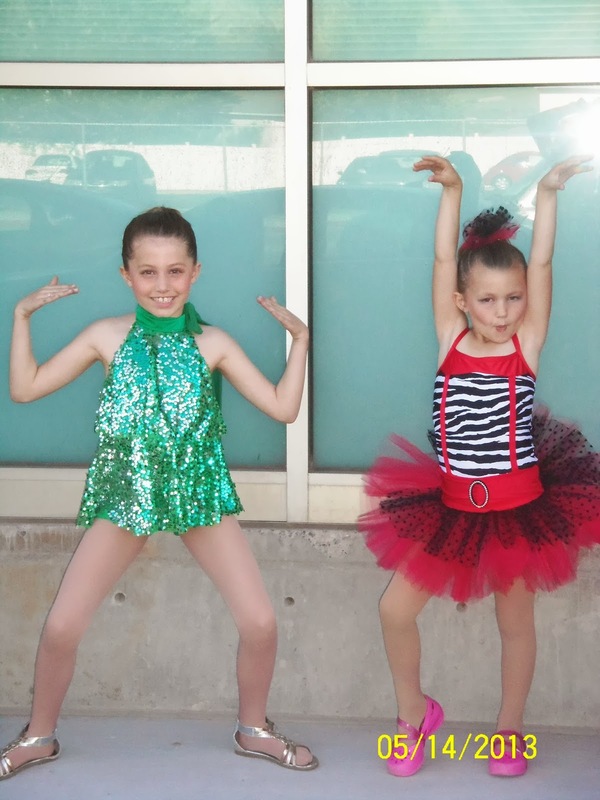 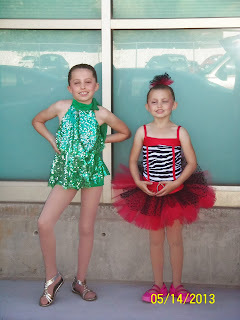 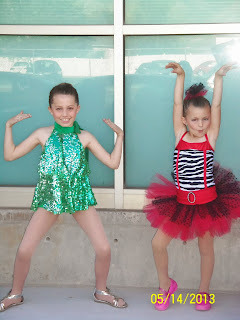 Sydney (9) and Shelby (6) before their Dance Review. 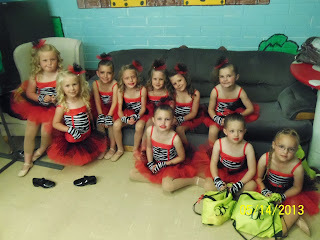 Shelby's dance group back stage waiting for their turn. 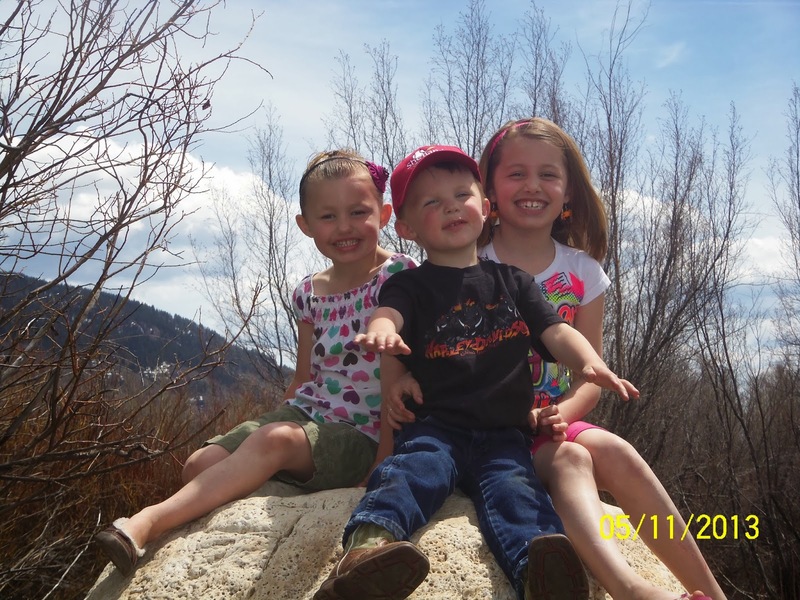 Mothers Day weekend, we stopped and got KFC and drove up Logan Canyon for lunch. This is up Franklin Basin where Shaun camps when hunting. 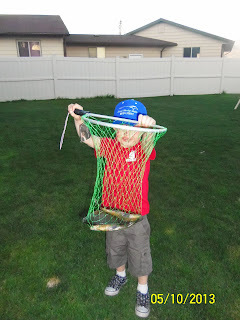 Shaun took Preston fishing up Mantua. Preston caught more fish than Dad, he thought that was pretty cool. 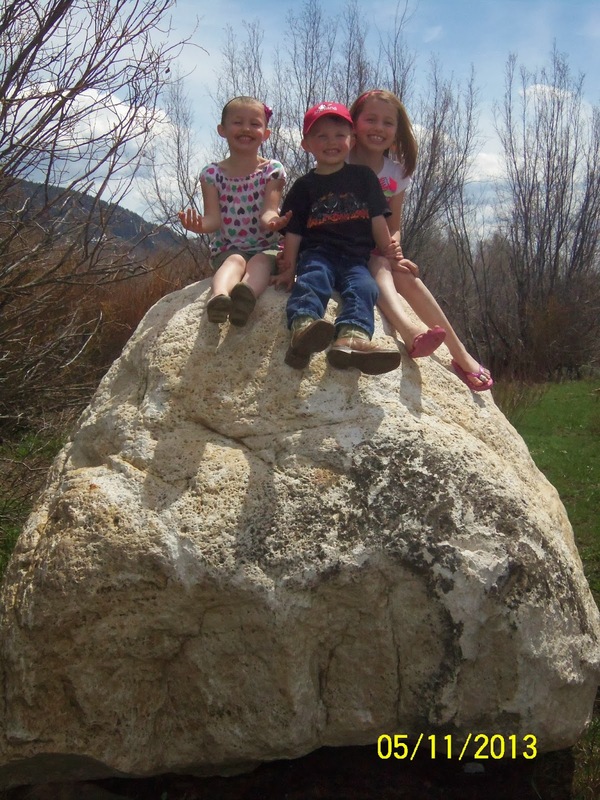 He asks all the time when they are going to go fishing again. 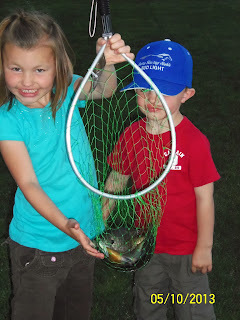 Preston and his BIG catch. 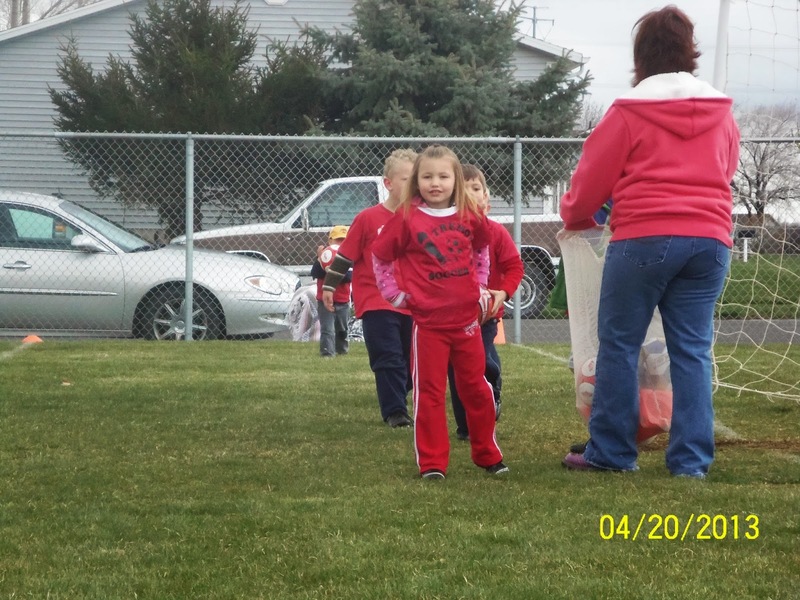 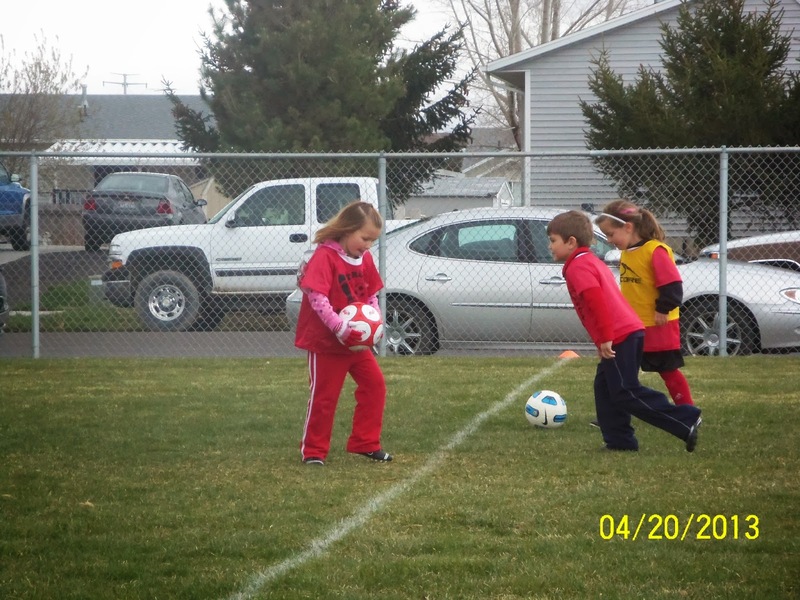 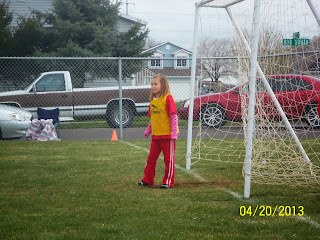 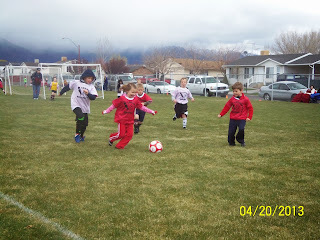 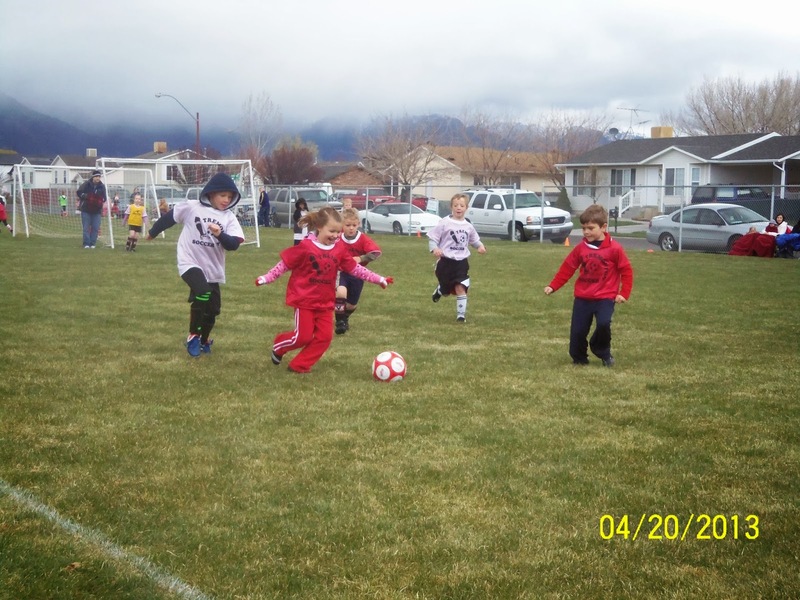 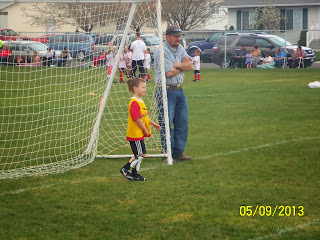 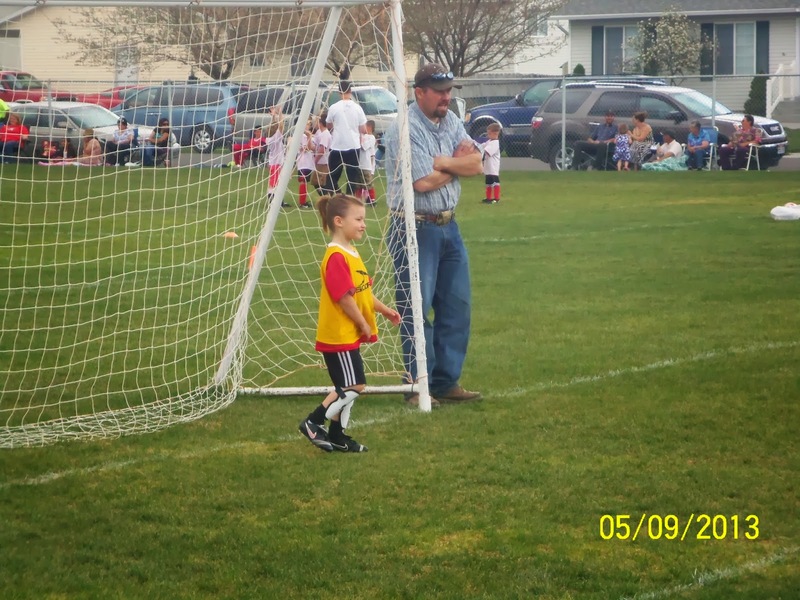 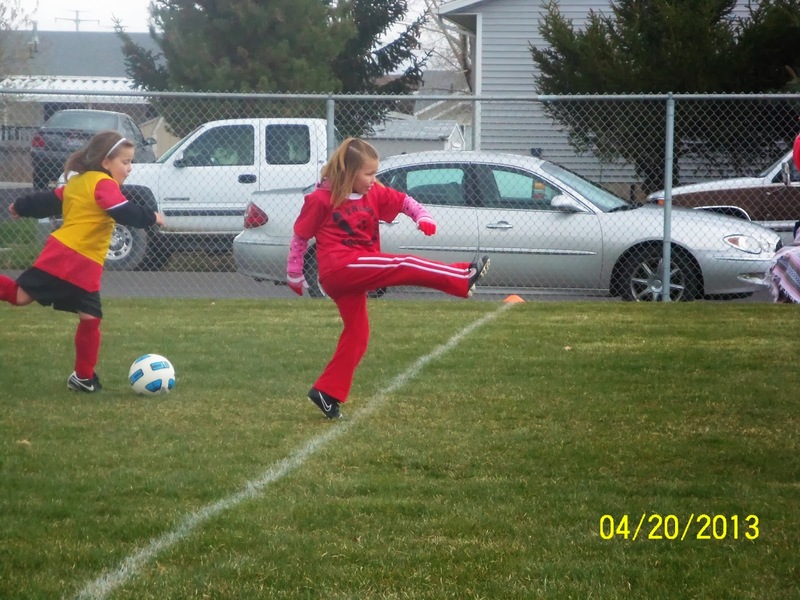 Shelby is the only one of my kids that played Spring Soccer this year. She had the same soccer coach as last year and did really well for only playing one other season. Her favorite position was goalie because she could dive for the ball. 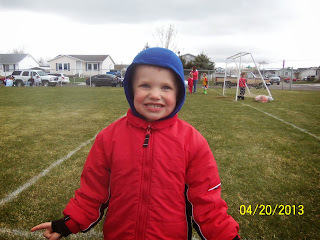 Preston bundled up to cheer Shelby on. 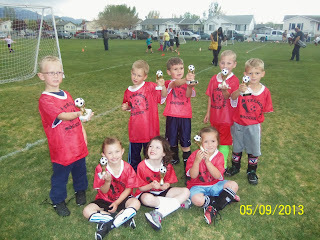 Shelby's team on the last game with their trophies. WAY TO GO TEAM! !